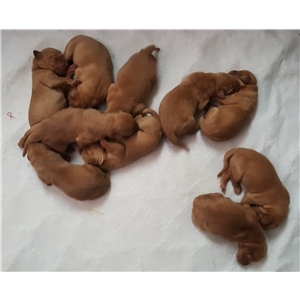 Tesla had 10 puppies, 7 of them males, so we have some available, ready to go home April 15th. These should be very solid working field dogs with good temperaments. 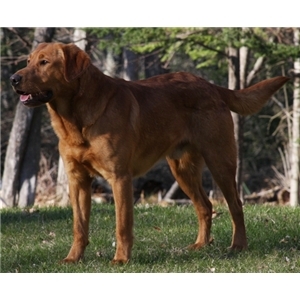 HRCH Torg's Hunting Memories, MH (FC AFC Snapper son) x Rainmaker's Red Roadster by Torg (GRHRCH 4xGMPR Rooster MH/QAA CGC daughter). Both Tanner and Tesla are nice sized, solidly built Labs with good coats, both have OFA hips/elbows/eyes and are EIC/CNM/PRA clear. Puppies will have dews removed, be vaccinated and microchipped and vet-checked at 6 weeks. Full puppy kit, weekly videos/photos provided until they go home. See website for pedigree, health clearances, photos, etc. $1500 with $300 deposit to hold.